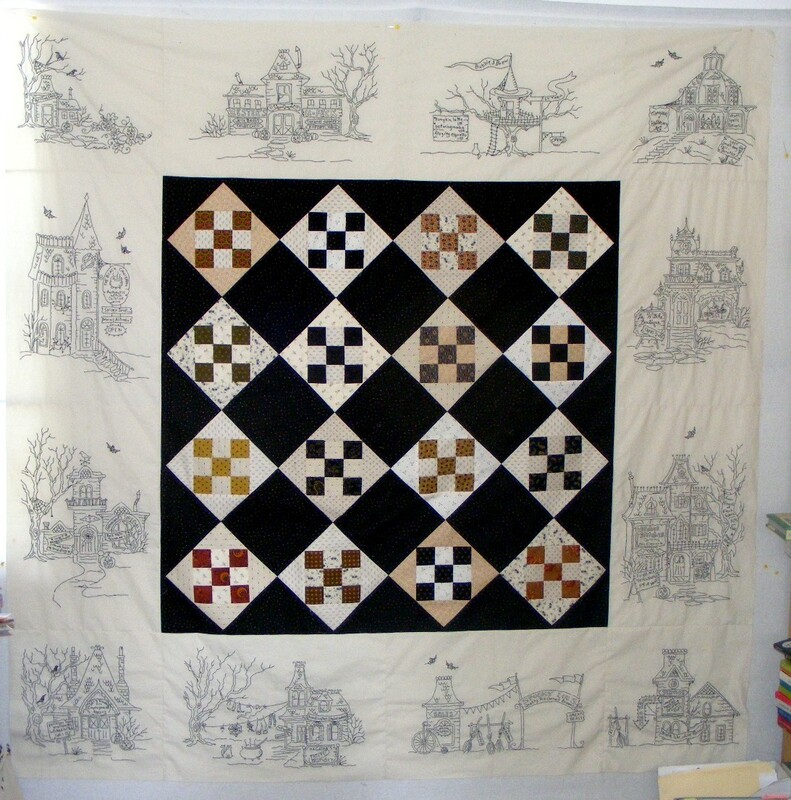 Quilting Adventures: Guess what's on my design wall......? It's been a long time coming! Hocuspocusville by Crabapple Hill. Gotta get more fabric for the borders! I knew I shouldn't have touched that black for a another project! That's going to be beautiful! That is a beautiful piece. 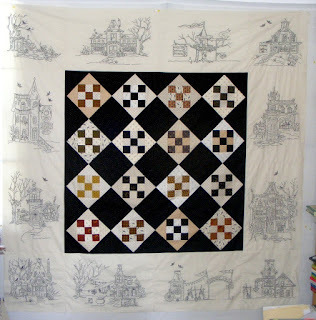 I love the idea of doing a larger quilt with stitchery. I have been collecting vintage children and farm animal pictures to use in one. I figure I can work on it and maybe I will have a grandkid by the time I finish it, lol. The embroidery border looks so good with the pieced center. My kind of colors. Wow! It's gorgeous!!! Congratulations on finishing all of that embroidery!! !